My veggie garden is growing slowly, but surely, and the flower garden is finely almost weed-free. One of our favorite plants is both a yummy veggie and a beautiful flower - an artichoke plant. If you've planted a garden, here are a few stories to enjoy with your young gardeners as you wait for it to mature. Muncha, Muncha, Muncha by Candace Fleming. Mr. McGreeley has decided to plant the garden of his dreams, but pesky twitch-nosers keep ruining his plans. 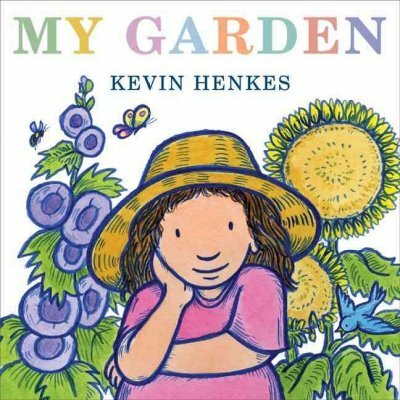 My Garden by Kevin Henkes. A little girl helps her mother get their garden ready and imagines all the things that will grow there. Planting a Rainbow by Lois Ehlert. Follow the planting of a garden from bulbs and seeds to the rainbow of things that grow there. 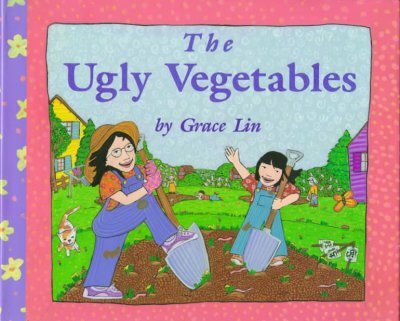 The Ugly Vegetables by Grace Lin. A little girl thinks her mother has planted a garden of ugly vegetables, until she tastes her mother's Chinese vegetable soup. 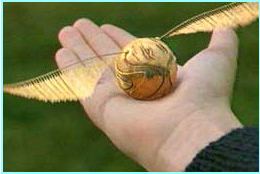 Attention Muggles! Don't miss an opportunity to learn some tricks from the world of wizards at our Magic for Muggles program, Thursday, June 30 from 4-6 p.m. in the Community Room. You can bring the whole family to enjoy trivia, search for the Deathly Hallows, visit Honeydukes, make a potion, hone your quidditch skills and more! We encourage you to come in costume, and we'll be dressed up too! When the Harry Potter books appeared in the '90's and began to make J.K. Rowling richer than the Queen of England, a most extraordinary thing happened: not only did kids start reading voraciously, but the fever hit adults in many families as well. What fun to be reading the same books as your kids and to be just as obsessed! For me, sharing these books with future generations is a reason (one of many, of course) for having kids. Please share in the comments books you have loved to read as a family, books that you selflessly (and perhaps a bit reluctantly) hand over to your kiddos to read first, while asking with embarrassing frequency "Are you done yet?" Have you ever our explored our collection of juvenile kits? The J Kit collection shelves are packed with fun. Most kits are picture books with an accompanying CD or DVD. They're great way for kids to peruse books while listening to artfully produced readings of the stories, and they can keep the whole family entertained during road trips! 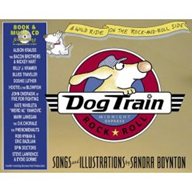 Stop by the library to browse the collection and check out my personal favorite: Dog Train by Sandra Boynton. Each Monday your librarians are traveling to a different country (in the library, of course!) in our Fun Around the World programs. This Monday, June 20, from 2-4 p.m., we'll be journeying to Japan with the Tigard High Japanese National Honor Society who will teach us some origami folding. Check back here to find out where else we'll be traveling. 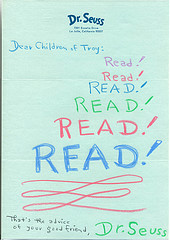 In 1972, Marguerite Hart, the first Children's Librarian in Troy, Michigan, wrote to dozens of actors, artists, musicians, politicians and writers to ask them to send letters to the Children of Troy about the importance of libraries, and their memories of libraries and books. She got 97 letters in return! These are all posted on the library website, and they are well worth a perusal. I love running across stories like this on the Internets. I've met a lot of children's librarians, and so many of them share Hart's fantastic qualities: Imagination, dedication and a willingness to ask for the moon! Sure, it didn't cost you anything to get your library card, but how much is it worth? One of the new features of our Tigard Library website is a Library Use Calculator. Plug in how much you use your library in a month (number of books and movies you check out, computer time used, programs attended, etc.) and you can find out. My card is worth a cool $506 a month! Now that's some savings. Let us know how much your card is worth in the comments. Hitting the road this summer? Keep the kids entertained with an audiobook. We've got everything from shorter stories (Seuss, Junie B. Jones, etc.) to the longest of chapter books (Harry Potter, anyone!) to help you pass the hours in the car. Some of my favorite listens include any of the Hank the Cowdog stories and Skulduggery Pleasant. Do you walk to the library? Did you know that the City would like to add some sidewalks to make the route safer for neighborhood walkers? To help fund the sidewalk project they need help knowing how many people walk to the library. Find out more about the project here and stop by the library June 7, 8, 9 from 5-7 p.m., or June 11 from 11 a.m.-1 p.m. or June 12 from noon-2 p.m. to take a quick survey. You're probably familiar with Doreen Cronin's picture books (Diary of a Worm; Click, Clack, Moo; Duck for President). They are hilarious fun, both for young and not-so-young readers alike. 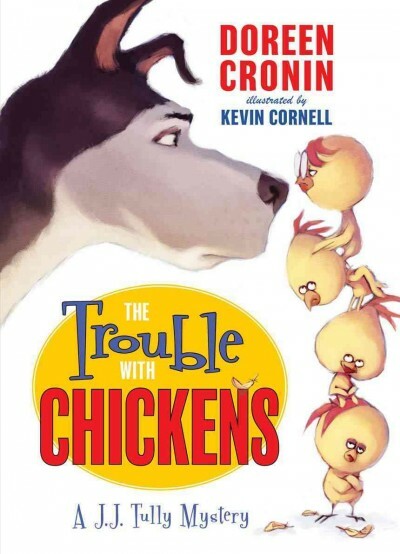 I just finished her easy chapter book The Trouble With Chickens. A former search and rescue dog finds retired life not so peaceful when a pushy chicken enlists his help to find her chicks. There are plenty of sketches to accompany the written humor, making it appealing for those just beginning to enjoy chapter books. With plenty of sarcasm and wit, this makes a great read-aloud to share with your readers. Summer Reading has begun, and with it the sun has decided to make an appearance. (Oh Sun, please stay with us for a good long while...We need you!) Celebrate with us on Saturday, June 4 from 2-3 at the library gazebo when Portland band IOA will be rocking a concert for all ages. Show up to sign-up for Summer Reading, get sticky with Otter Pops, and dance the day away!